By George FriedmanThe events in Egypt have sent shock waves through Israel. The 1978 Camp David Accords between Egypt and Israel have been the bedrock of Israeli national security. In three of the four wars Israel fought before the accords, a catastrophic outcome for Israel was conceivable. In 1948, 1967 and 1973, credible scenarios existed in which the Israelis were defeated and the state of Israel ceased to exist. In 1973, it appeared for several days that one of those scenarios was unfolding. The centre of gravity of Israel’s strategic challenge was always Egypt. The largest Arab country, with about 80 million people, Egypt could field the most substantial army. More to the point, Egypt could absorb casualties at a far higher rate than Israel. The danger that the Egyptian army posed was that it could close with the Israelis and engage in extended, high-intensity combat that would break the back of Israel defence Forces by imposing a rate of attrition that Israel could not sustain. If Israel were to be simultaneously engaged with Syria, dividing its forces and its logistical capabilities, it could run out of troops long before Egypt, even if Egypt were absorbing far more casualties. For this younger generation, the idea of Gamal Mubarak being allowed to take over the presidency was the last straw. They wanted the elder Mubarak to leave not only because he had ambitions for his son but also because he didn’t want to leave after more than a quarter century of pressure. Mubarak wanted guarantees that, if he left, his possessions, in addition to his honour, would remain intact. If Gamal could not be president, then no one’s promise had value. So Mubarak locked himself into position. I have laid out the reasons why the 1978 treaty is in Egypt’s national interest. I have left out two pieces. The first is ideology. The ideological tenor of the Middle East prior to 1978 was secular and socialist. Today it is increasingly Islamist. Egypt is not immune to this trend, even if the Muslim Brotherhood should not be seen as the embodiment of that threat. Second, military technology, skills and terrain have made Egypt a defensive power for the past 33 years. But military technology and skills can change, on both sides. Egyptian defensiveness is built on assumptions of Israeli military capability and interest. As Israeli ideology becomes more militant and as its capabilities grow, Egypt may be forced to reconsider its strategic posture. As new generations of officers arise, who have heard of war only from their grandfathers, the fear of war declines and the desire for glory grows. Combine that with ideology in Egypt and Israel and things change. They won’t change quickly — a generation of military transformation will be needed once regimes have changed and the decisions to prepare for war have been made — but they can change. This was not the fatal heart attack. It might not even have been more than indigestion. But recent events in Egypt point to a long-term problem with Israeli strategy. Given the strategic and ideological crosscurrents in Egypt, it is in Israel’s national interest to minimize the intensity of the ideological and make certain that Israel is not perceived as a threat. In Gaza, for example, Israel and Egypt may have shared a common interest in containing Hamas, and the next generation of Egyptian officers may share it as well. But what didn’t materialise in the streets this time could in the future: an Islamist rising. In that case, the Egyptian military might find it in its interest to preserve its power by accommodating the Islamists. At this point, Egypt becomes the problem and not part of the solution. Keeping Egypt from coming to this is the imperative of military dispassion. If the long-term centre of gravity of Israel’s national security is at least the neutrality of Egypt, then doing everything to maintain that is a military requirement. That military requirement must be carried out by political means. That requires the recognition of priorities. 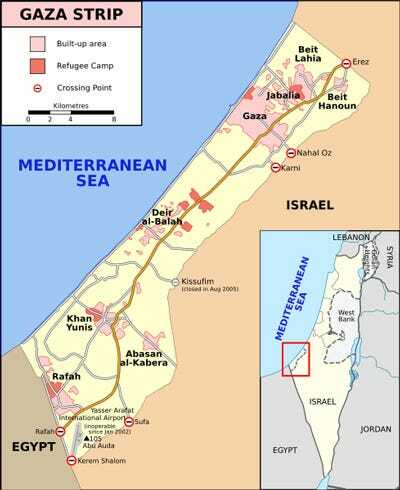 The future of Gaza or the precise borders of a Palestinian state are trivial compared to preserving the treaty with Egypt. If it is found that a particular political strategy undermines the strategic requirement, then that political strategy must be sacrificed.